Welcome to Lyon! As the 3rd largest city in France, Lyon has seen a lot in its 2,000 years of history. But all that history means there’s a variety of things to do in the city. 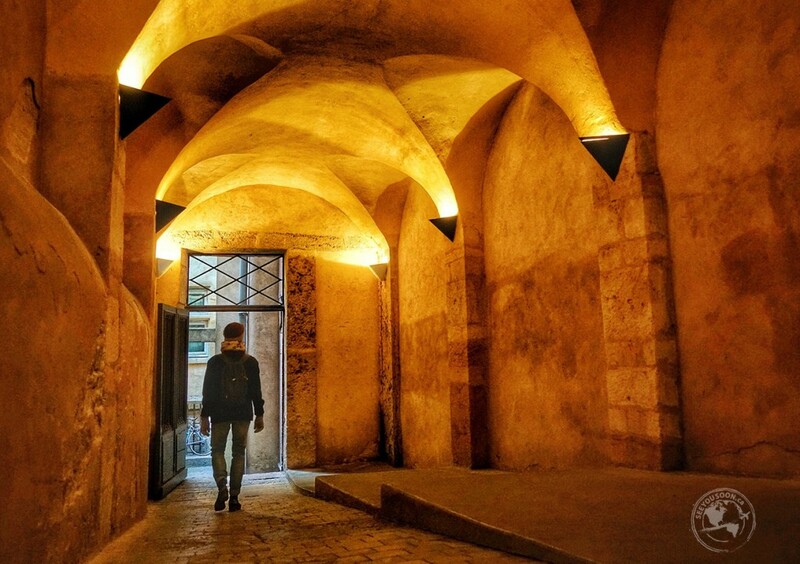 From culinary delights to secret passageways, history architecture and the largest revitalization project happening in all of Europe. 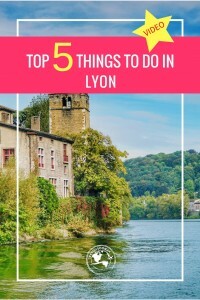 So, to help you get the most out of your visit to the city, below are the top 5 things to do in Lyon! 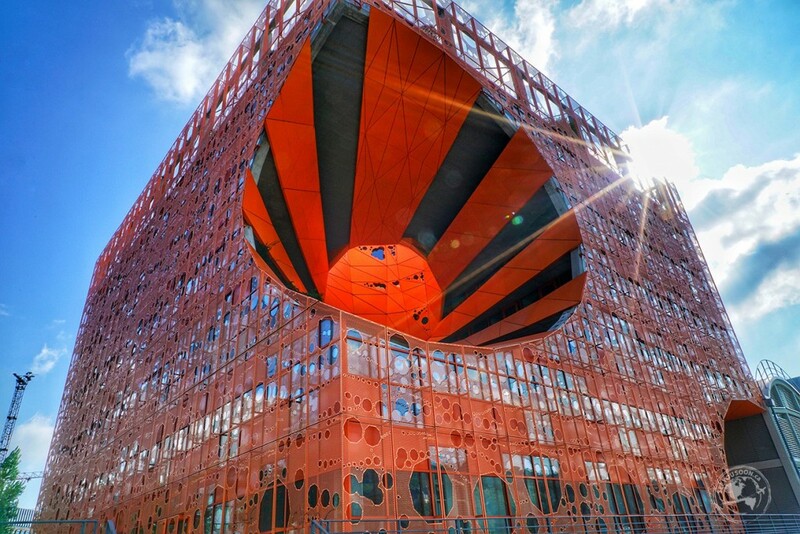 Le Cube Orange in the Confluences District. 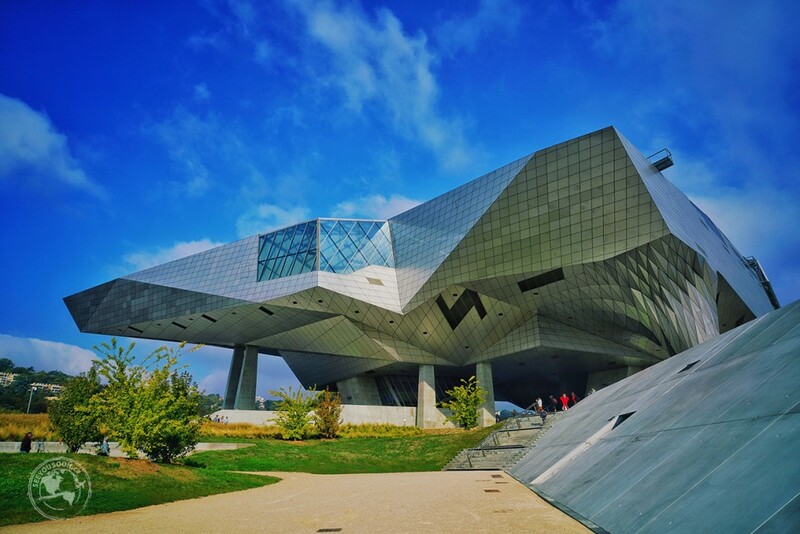 In stark contrast to Lyon’s historic architecture is the ultra-modern Confluences neighbourhood. Located right where the Rhône and Saône rivers meet, Lyon’s newest neighbourhood is currently the largest urban redevelopment project happening in all of Europe. The Confluences District spreads out over 150 square hectares of land and brings together work, living, and entertainment facilities in unique architectural and environmentally-friendly designs. Make a point to check out the sprawling shopping complex and the Musée des Confluences, the Natural History Museum, which showcases over 2.2 million artifacts. The Musée des Confluences, the Natural History Museum. The various coloured threads used to weave together patterned silk fabrics. Silk-weaving plays a vital role in Lyon’s history. Due to its position on the Rhône and Saône rivers, it became the only city in France that was allowed to import raw silk and weave it into various textiles. The Croix-Rousse district was the centre of the silk-weaving industry in the city and is where you can learn more about it today. Pop into Maison des Canuts where you’ll learn about the invention by Joseph-Marie Jacquard of using perforated cards to produce patterned fabrics. Another option is Soierie Vivante, one of the last family-owned workshops in the area. 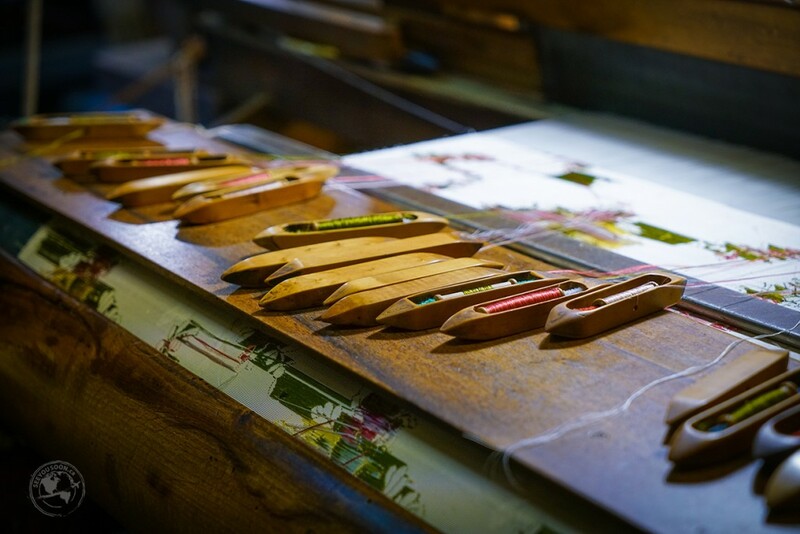 In the trimmings workshop, you’ll get live demonstrations of trimmings being assembled on looms that haven’t been moved since the 19th century. In the weaving workshop, you can see how silk workers lived and worked in the same space plus how the looms evolved from hand to electrical-powered machines. Strolling through one of Lyon’s Traboules. The traboules are secret, covered passageways found in the old parts of the city, some of which date back to the 4th century. They connect buildings and courtyards and weave their way up and down various staircases. During the height of silk production, they were used to transport silk goods to avoid any damage happening to the products. Today, there are estimated to be about 40 traboules open to the public. Most of them are found in Vieux-Lyon and Croix-Rousse and many are marked with a special seal. 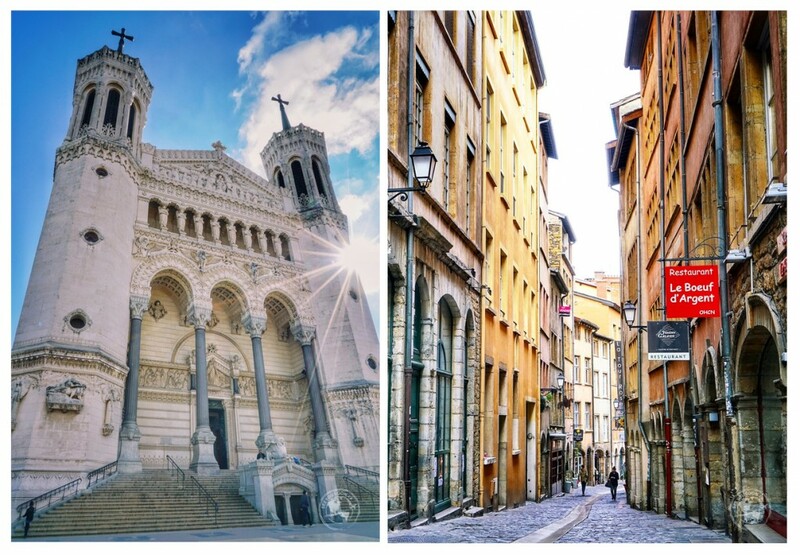 Left: Basilica de Notre-Dame de Fourvière, Right: the cobblestone streets in Vieux-Lyon. Rising high above the Saône River is the Fourvière District, a charming and popular area to visit in the city with lots to see and do. At the top of the Fourvière Hill is the Basilica de Notre-Dame de Fourvière. It was built in the 1800s and features intricate detailing both on the exterior and interior. On the south side of the Fourvière district are the vast Roman ruins. There are the partially intact ruins of a Roman Theatre dating back to 15 BC and a 2nd Century Roman Odéon where concerts and operas are performed in the summer months. At the base of the Fourvière District is Vieux Lyon, the city’s oldest district. This picturesque area is lined with narrow, cobblestone streets, and features well preserved buildings from the Renaissance period. In the 60s, the fate of Vieux-Lyon was uncertain as many of the buildings had become inhabitable, but the city stepped in and Vieux-Lyon became the first protected historic district in France. While Paris may be the capital city of France, Lyon is the gastronomical capital of the country. From street-side markets to over a dozen Michelin-star restaurants, there’s something for every palette and budget in Lyon. So make sure you pack your stretchy pants! Make a point to pop into Les Halles de Lyon, created by famed French-chef, Paul Bocuse. This indoor market features over 60 food stalls, showcasing the best regional products found around Lyon. Also, don’t leave the city without grabbing a meal at a bouchon. These are traditional restaurants found only in Lyon that have deep historical roots within the city. 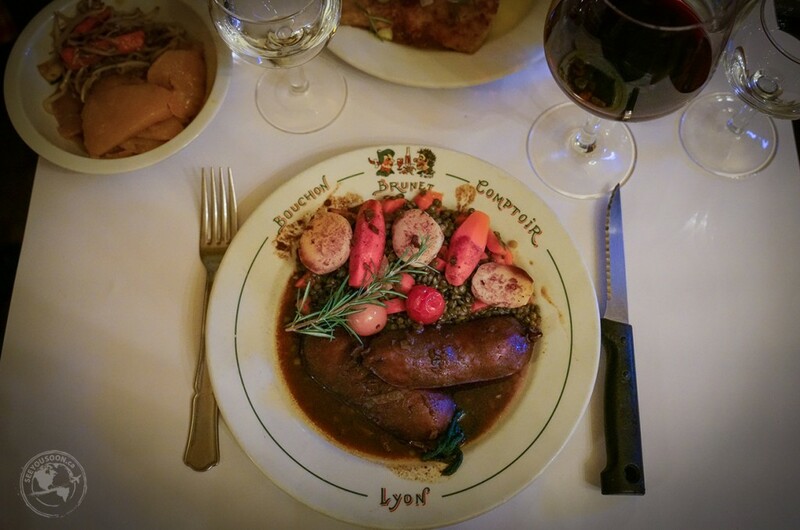 Bouchon’s are typically family-run and feature menus filled with hearty, homemade dishes. Have you been to Lyon and have more recommendations? Leave them in the comments below!